Thats all. Game finished - San Marino 0, Scotland 2. Second Half ended - San Marino 0, Scotland 2. Filippo Berardi - San Marino - receive yellow card for a foul. Scott McTominay - Scotland - won a free kick in defence. Scott McTominay - Scotland - receive yellow card for a foul. Lorenzo Lunadei - San Marino - won a free kick in defence. Andrea Grandoni - San Marino - won a free kick in defence. Substitution - San Marino. Lorenzo Lunadei for Davide Simoncini. Enrico Golinucci - San Marino - won a free kick in defence. Corner - Scotland. Conceded by Elia Benedettini. New attacking attempt. Marc McNulty - Scotland - shot with right foot from the right side of the box is saved by goalkeeper in the centre of the goal. Assist - Andrew Robertson. Delay in match Davide Simoncini - San Marino - - injury. Substitution - San Marino. Andrea Grandoni for Adolfo Hirsch. Missed chance. Marc McNulty - Scotland - shot with the head from the centre of the box is close, but missed to the left. Assist - James Forrest with a cross. Goal! San Marino 0, Scotland 2. Johnny Russell - Scotland - shot with right foot from the centre of the box to the high centre of the goal. Assist - James Forrest following a fast break. Adolfo Hirsch - San Marino - won a free kick in defence. Shot blocked. Ryan Fraser - Scotland - shot with right foot from the centre of the box is blocked. Assist - Johnny Russell. Substitution - Scotland. James Forrest for Stuart Armstrong. Offside - Scotland. Johnny Russell with a pass, however Stephen O'Donnell is in offside. Missed chance. Scott McTominay - Scotland - shot with left foot from outside the box is high and wide to the left. Assist - Johnny Russell. 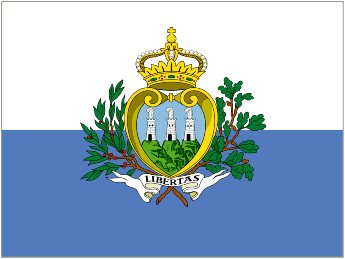 Substitution - San Marino. Nicola Nanni for Matteo Vitaioli. Corner - Scotland. Conceded by Manuel Battistini. Substitution - Scotland. Scott McTominay for Callum McGregor. Matteo Vitaioli - San Marino - won a free kick in attack. Missed chance. Scott McKenna - Scotland - shot with the head from few metres is close, but missed. Assist - Ryan Fraser with a cross after corner. Shot blocked. Marc McNulty - Scotland - shot with right foot from the left side of the box is blocked. Alessandro Golinucci - San Marino - won a free kick in defence. Corner - Scotland. Conceded by Michele Cevoli. Shot blocked. Marc McNulty - Scotland - shot with left foot from the left side of the box is blocked. Assist - Ryan Fraser. Missed chance. Mirko Palazzi - San Marino - shot with left foot from outside the box is close, but missed. Assist - Alessandro Golinucci. Manuel Battistini - San Marino - won a free kick in defence. Mirko Palazzi - San Marino - won a free kick in defence. Second Half starts San Marino 0, Scotland 1. First Half ended - San Marino 0, Scotland 1. Shot blocked. Stuart Armstrong - Scotland - shot with right foot from outside the box is blocked. Assist - Ryan Fraser. Missed chance. Johnny Russell - Scotland - shot with left foot from outside the box is close, but missed . Shot blocked. Johnny Russell - Scotland - shot with left foot from outside the box is blocked. Johnny Russell - Scotland - won a free kick in attack. Offside - San Marino. Enrico Golinucci with a pass, however Matteo Vitaioli is in offside. Substitution - Scotland. Marc McNulty for Callum Paterson - injury. Andrew Robertson - Scotland - won a free kick in defence. Missed chance. Mirko Palazzi - San Marino - shot with right foot from outside the box is close, but missed. Delay in match Callum Paterson - Scotland - - injury. New attacking attempt. Callum Paterson - Scotland - shot with the head from the centre of the box is saved in the left corner. Missed chance. Adolfo Hirsch - San Marino - shot with right foot from a diffucult position on the right is close, but missed. Assist - Filippo Berardi with a through ball. Matteo Vitaioli - San Marino - won a free kick in defence. Stuart Armstrong - Scotland - won a free kick on the right wing. Missed chance. Ryan Fraser - Scotland - shot with right foot from outside the box goes high from a free kick. Ryan Fraser - Scotland - won a free kick in attack. New attacking attempt. Stuart Armstrong - Scotland - shot with left foot from the centre of the box is saved in the left corner. New attacking attempt. Stuart Armstrong - Scotland - shot with left foot from the centre of the box is saved in the left corner. Assist - Johnny Russell. Shot blocked. Ryan Fraser - Scotland - shot with right foot from the left side of the box is blocked. Assist - Scott McKenna. Shot blocked. Stephen O'Donnell - Scotland - shot with right foot from outside the box is blocked. Assist - Callum McGregor. Missed chance. Johnny Russell - Scotland - shot with left foot inside of six yard box - left side goes high. Assist - Stephen O'Donnell . Ryan Fraser - Scotland - won a free kick on the left wing. Alessandro Golinucci - San Marino - won a free kick in attack. Goal! 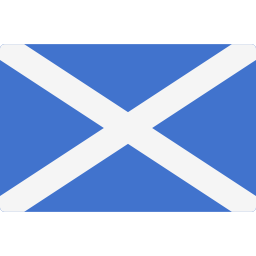 San Marino 0, Scotland 1. Kenny McLean - Scotland - shot with the head from the centre of the box to the right corner. Assist - Ryan Fraser with a cross after corner. Corner - Scotland. Conceded by Filippo Berardi. Missed chance. Kenny McLean - Scotland - shot with right foot from outside the box is close, but misses the top right corner. Get real-time football commentaries and full coverage for the Euro Qualification match San Marino vs. Scotland, powered by Scorenga.co.uk. 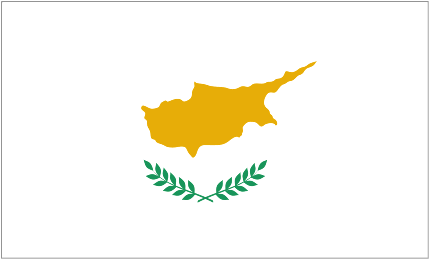 This page is dedicated to one of the most exciting Euro Qualification clashes. Here you will find a summary of the game, standings and photos.